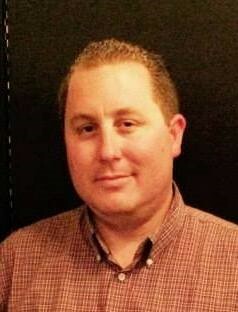 Paul is a native of Monterey County and currently resides in Salinas with his wife Jen and their beloved dog, Carmine. He enjoys traveling and bbqing with family and friends. After attending Humboldt State University, Paul came back to Salinas to work for Commercial Truck Company, were he is currently the general manager. Paul served Chair of the Central Coast Young Farmers & Ranchers Committee in 2014 and is again Chair in 2017. He has also been part of the Young Farmer's & Ranchers Executive Committee since 2011. Paul has applied for acceptance into the Leadership Farm Bureau program for 2017. As Chair of the Central Coast Young Farmers & Ranchers Committee, Paul serves on the Board of Directors for Monterey County Farm Bureau. As District 8 Director, Paul will represent Central Coast Young Farmers & Ranchers at statewide meetings hosted by California Farm Bureau Federation. This includes the annual Leadership Conference which will be held in Modesto in late February. Paul will serve on the State Young Farmers & Ranchers Committee through 2018.